our trusted bakers arrive to begin making our breads and pastries by hand, from scratch. And boy, does the flour fly during those early morning hours! 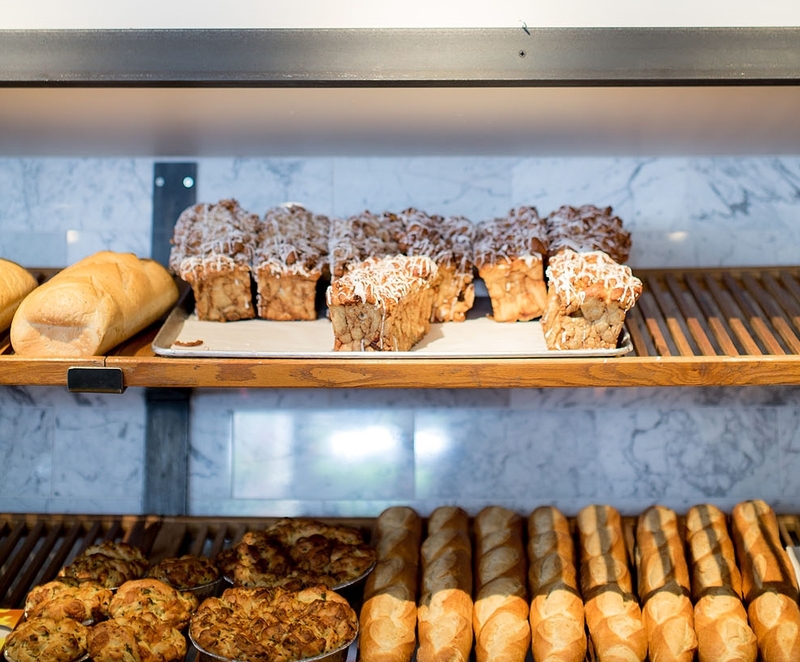 It takes quite a flurry of activity to create the more-than fifteen different kinds of breads and almost countless pastry variations that come out of our kitchen (warm, by the way) each day and into our bakery. Our assortment of made-fresh-daily cakes will boggle the mind—both because of the variety and because of how completely unique and delicious each is. Come in and have just a slice (if you can) or take a whole one with you. Special orders welcome—we can make the size and version that's perfect for your group, party, celebration or merry gathering of any sort. Our exquisite offering of cookies & treats has something for everyone— scrumptious old-fashioned American treats like chocolate chip cookies and caramel apples to exquisite European sweets like Palmiers and Sacristains. From the crusty rolls served with lunch and dinner to the divine loaves of apple cinnamon bread that get snatched up before sunset, our customers can enjoy the freshest scratch-made breads possible thanks to our hard-working night bakers.